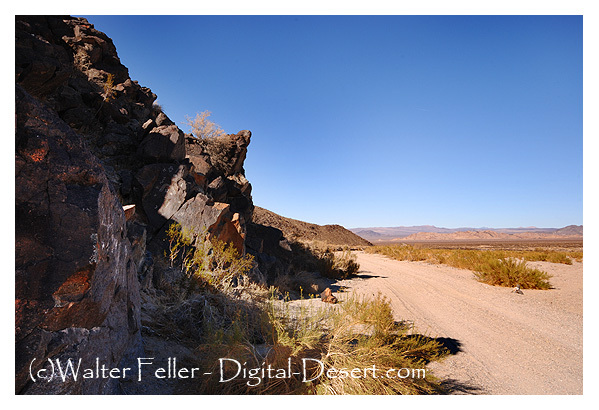 17 Mile Point is the approximate halfway point on the Mojave Road between Soda Springs and Marl Springs. Just west of the point is a dry camp where pioneers and freighters would stop for the night. The route was especially challenging for travelers heading east toward the Colorado River. The road was sandy, hard on mules, livestock, and people alike. There was little, if any, grass for livestock to feed on the climb to Marl Springs.